Atlas robots were developed to participate at Autonomous Driving competition (AD) taking place at Portuguese National Robotics Festival. 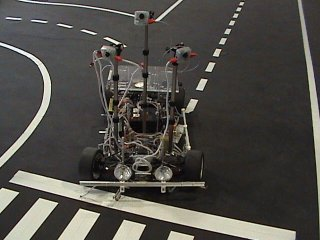 Since the first appearance, we have tried to continuously improve both hardware and software onboard the robots. QuinaWheel has been the first robot presented at Portuguese National Festival, totally developed by mechanical department of Aveiro University (DEM, UA). Atlas group is formed on the following year to bring new concepts to this competition. The AD represents a technical challenge, in which autonomous robot must travel along road like scenario, which is composed of several visual patterns that guide the navigation such as road lane markers, vertical traffic signs, obstacles, a tunnel and a road maintenance area. Each of these raises several issues regarding perception that must be coped using several state of the art techniques. 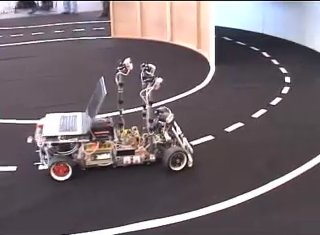 Despite the small scale and apparently simple visual patterns to the human eye, the fact is that it is a complex and difficult task for an autonomous robot to correctly perceive the environment. To develop such a project, a multidisciplinary team is required. Many engineering fields are involved: electronics, mechanics, automation, robotics, computer science, among others. This contest is divided in 3 stages, of increasing complexity. The fastest robot is the winner. 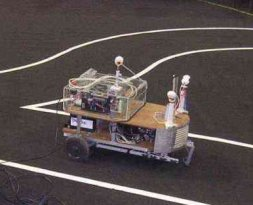 Time penalties are given when robots stray of road, bump into obstacles or disrespect traffic signs. First stage � a classic velocity trial. Second stage � traffic signs and obstacles randomly placed in the track. 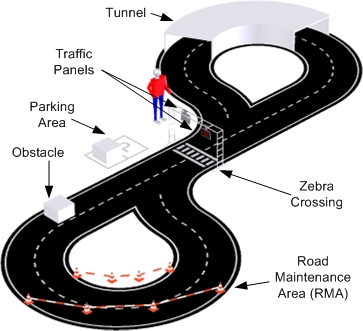 Third stage � traffic signs, obstacles, tunnel and road maintenance area. 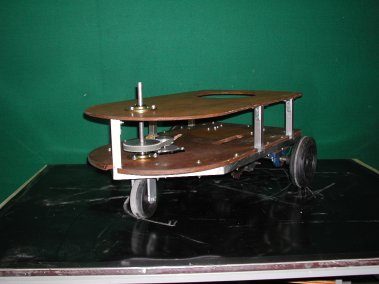 The first robot presented by mechanical department was a six leg, hexapod robot (MecHex) that could be easily converted into a wheeled robot (Quinawheel). The first robot of the atlas series was presented. The platform is based on an aluminum frame that supports two wood layers. 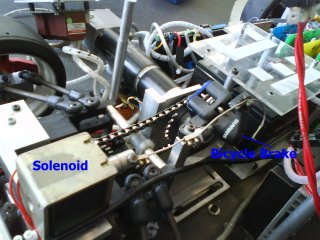 The innovation of this solution was mainly the implementation of a mechanical differential. Another innovation is related to the vision solution, composed of a webcam looking at a mirror. This allowed the entire visualization of the road using just one camera. In 2004 the road maintenance area was introduced, which significantly increased the complexity of competition. Therefore, it became mandatory to improve the robot�s performance. 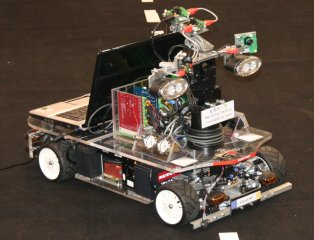 It was the first year where Linux OS was used in our robots. This solution revealed great advantages, which is why we still use this OS nowadays. 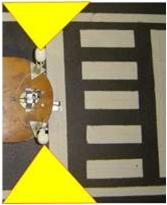 Also lower level robot interfaces based on microcontrollers were developed. 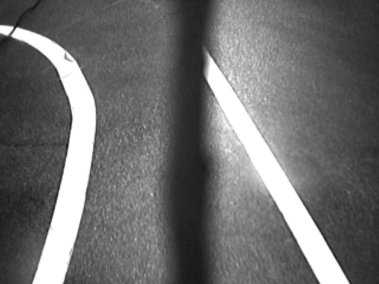 Previous experience showed that image analysis with just one camera was difficult because road lane markers were often lost. 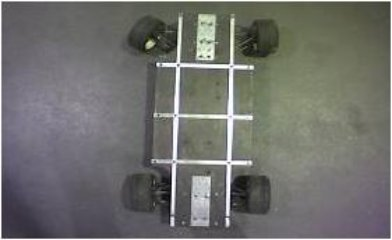 A new platform was required in order to increase the robot�s speed whilst maintaining stability. 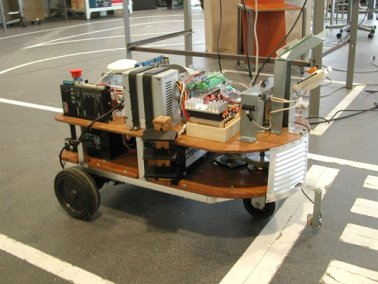 At the same time the new robot should be similar to common car, so that the algorithms developed could be easily adapted to cars in real world environments. The car was a 1:4 scale model used by model makers. 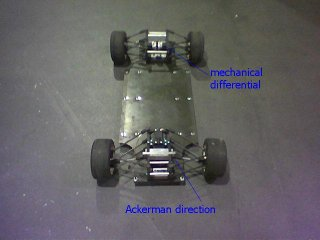 We have reinforced the platform and equipped it with motors and sensors. Into 2006 for the first the ATLAS team won the AD competition. The success repeated once again in 2007. 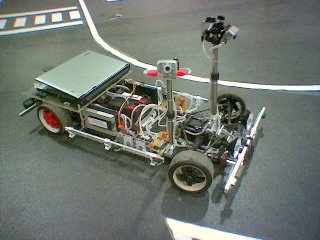 Several upgrades were carried out to obtain better performances from the robot, including a new power drive with 250 W instead of the older 120 W. New back maneuvering and two cameras� images merging were implemented. In 2008 a new robot was developed. 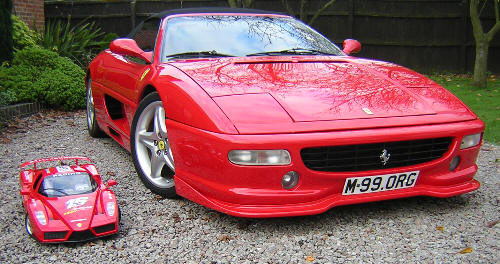 The AtlasMV was developed into improve the performances of its predecessor. The Atlas2000 platform used since 2005 had some enhancements, mainly to improve hardware reliability, mechanical and electrical. Navigation algorithms were, at this point, sufficiently reliable to have need of only minor adjustments. The AtlasMV robot was designed to be smaller (1:5), lighter and faster. Mechanically, new steering control mechanisms, pneumatic braking systems and active perception unit were developed. Atlas2000 suffers an intervention and both the cameras and head lights supports and fixation frames are substituted. At the same time several infrared sensors were mounted in the front of the vehicle. 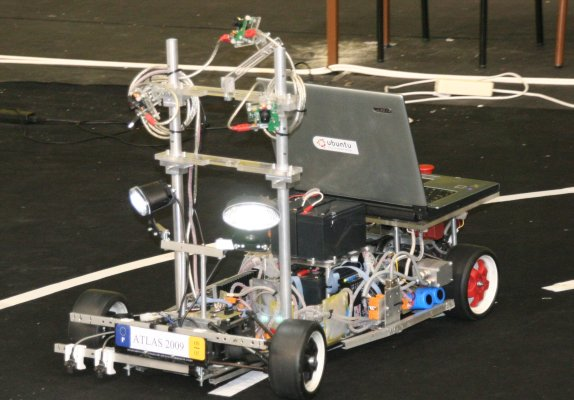 The AtlasMV robot changed its pneumatic braking system to a four wheeled hydraulic braking system, increasing braking performance. 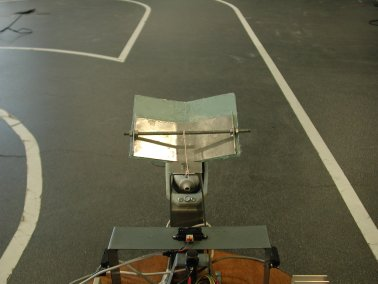 The major advance was the incorporation of a laser rangefinder onboard the robot. The laser rangefinder significantly eases the perception of obstacles, which lead to a better navigation. In 2009 the AtlasMV was the winner of competition. AD represents a technical challenge, because requires a multidisciplinary team. Team with know how in fields of mechanics, electronics, microcontrollers, software development between others. Atlas group for 2010 national festival has presented again two robots. 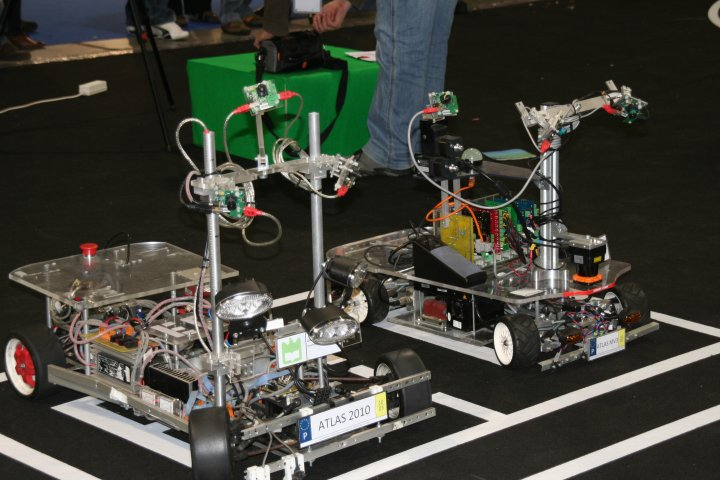 The robots named Atlas2010 and AtlasMV3, being prized with 2nd and 1st. The Atlas2010 has been presented at 2005 festival. 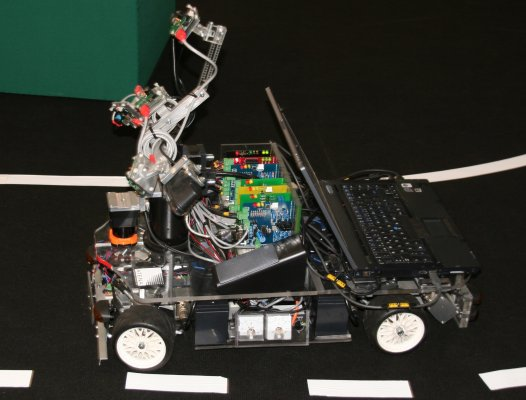 This robot was the first scale model of a real car presented at this competition. A robot composed by two power drives. Microcontrollers are applied to control drives and interface with a linux OS. The high level software is developed with c language by a monolithic program. The AtlasMV enters this competition for the third time. Like in the previous year AtlasMV engages again the first place. Robot with 3 servo drives interfaced to linux OS. The high level software differs from its brother, because a distributed architecture is applied. Several programs are started and running simultaneously, and communicate between them by ports.